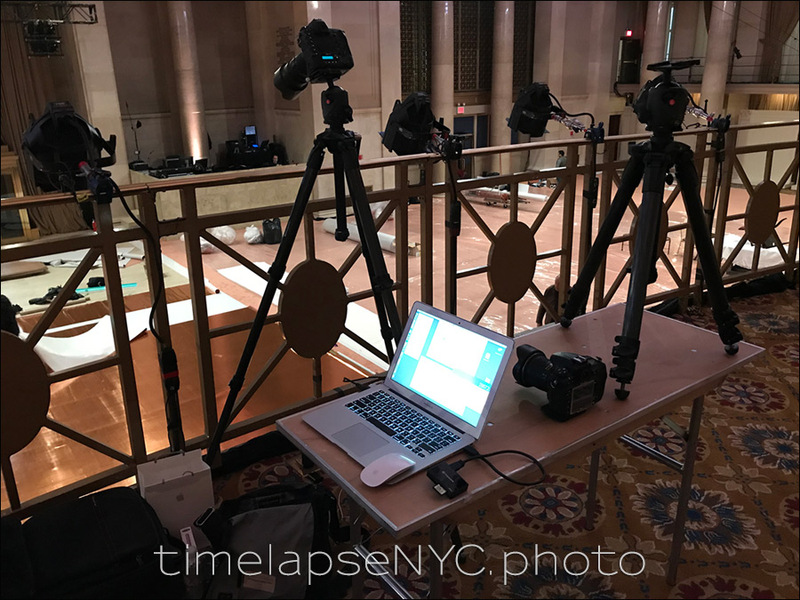 The magic of time-lapse photography – you can compress an event that took 3 days to complete, into a much shorter video. 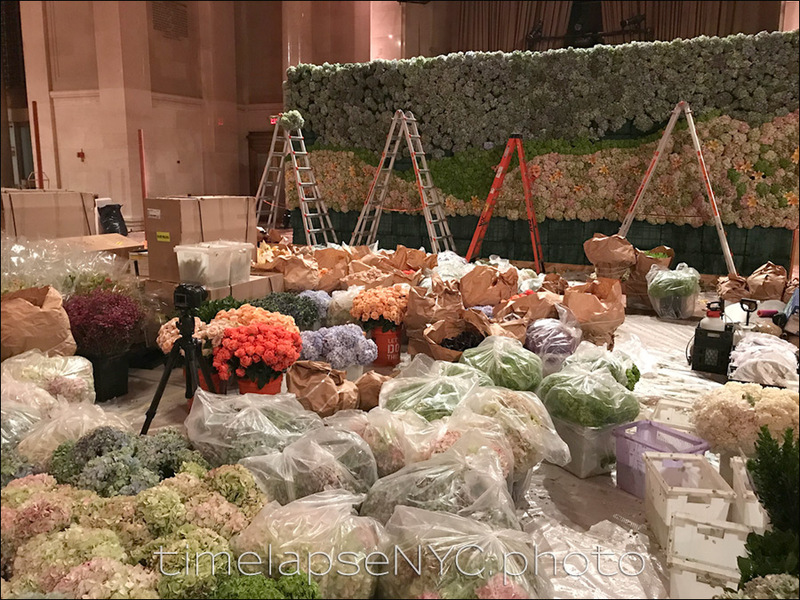 My client was Norma Cohen Productions, and she needed a time-lapse video to show the epic scale of this event. This was certainly one of the biggest projects that I have been involved with – I shot 32,500 frames with 4 cameras over the course of those 3 days. This video shown above, is a shorter, compressed time-line, keeping the video to 1’50”. I also created versions that are longer, right up to the full version that is 4’45” which is the total of the footage shot with the main camera. This main camera was mounted 2 floors up, providing an aerial view. Importantly, it also gave me a framework to compile the video clips with – I could now add footage from the other 3 cameras to give this kind of dynamic video, showing the progress over time. 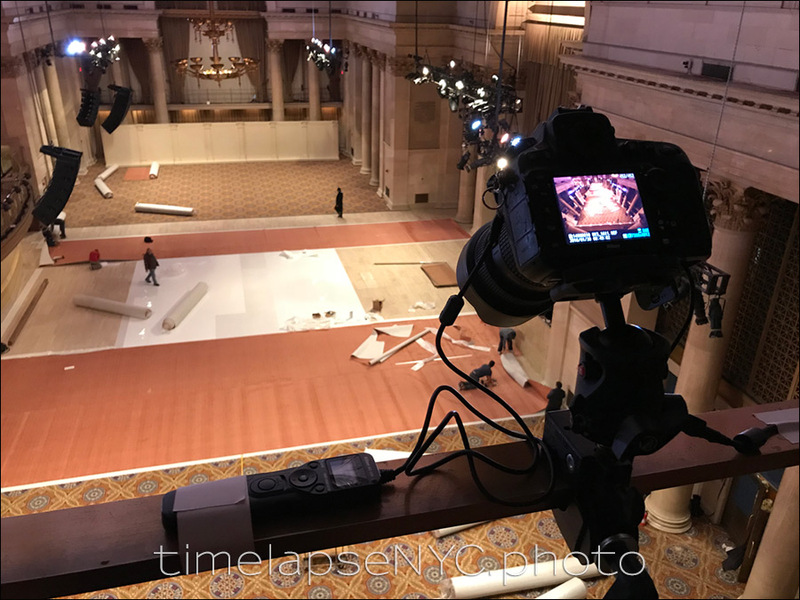 With this, I want to show some of the behind-the-scenes work that went into photographing the construction of the decor at this event, and creating various time-lapse videos from this. This is where the main, static camera was clamped into position. The camera was also connected to AC power which allowed the camera run indefinitely. Similarly, the timer that you can see there, would also continuously fire the camera until the end of the project. Here is one of the other 3 cameras that “roamed around” as we found good angles for other footage. Because it was such a long project, I had to periodically back up the images to two hard drives so that there was no risk of data loss. And here is the full, 4’45” video showing the events in a proper time scale. With that, I do think the shorter version is the more dynamic one to watch, and still get a real impression of what went on.